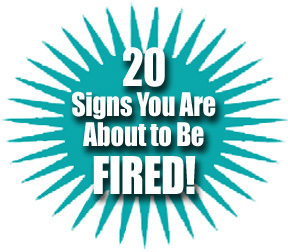 WiserUTips: 20 signs that you about to be FIRED! 20 signs that you about to be FIRED! Feel like things are going downhill fast at work? Here are 20 signs that you could be losing your job soon so plan accordingly! 1) Your boss won't take your calls, won't answer your emails and avoids in-person contact with you. 2) Your company was just bought by an organization that has lower-paid people in your same position. 3) Someone has been assigned to learn everything that you do. 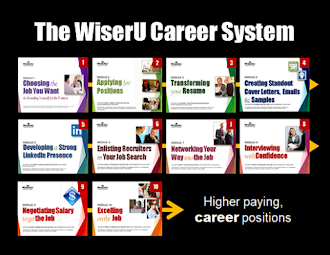 4) You are receiving less and less work to do and your major assignments have been reassigned. 5) You are excluded from important meetings. 6) You have recently been reprimanded, made a major mistake or missed a key deadline. 7) Your duties can be automated or done more affordably by being outsourced to another country. 8) You've been encouraged to go to "charm school" to learn how to deal more appropriately with others. 9) It's widely known that you have been bad mouthing the company or your boss. 10) You've been assigned to a new boss who is itching to make changes. 11) The company must make major cuts and your department or position isn't mission critical. 12) You just experienced your worst review ever and your boss seems to have it out for you. 13) You've been put on probation or a performance improvement plan and been given impossible expectations to meet. 14) Your department budget has been slashed and you're one of the highest paid or lowest performing employees. 15) Your coworkers are acting weird ... whispering and looking at you in a guilty or joyous manner. 16) You are no longer asked for your advice or are praised for your efforts. 17) Your boss goes directly to your employees for answers instead of following normal protocol. 18) Your access to key data has been cut off. 19) The facilities department starts measuring your office or cubicle without explanation. 20) You've been excluded from a raise that everyone else received. Does your future look bleak at your current employer? What other signs are there that you are about to be fired? Share them!